The real fun of implementing a new Electronic Medical Records (EMR) software starts weeks before the actual implementation. Fortunately, there are various action items that assist you and your team in preparing you for the new software before going live. 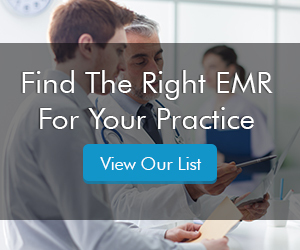 Following are the steps that you can take to prepare your practice for the new EHR/PM software. Transitioning to a new EHR software is a huge endeavor. This means that you will need a few champs in the practice. You should always choose decision-makers and staff who are tech enthusiast and understand the overall objectives behind your EMR switching. Your staff will need training before your software goes live to ensure a smooth and efficient transition. However, the training process must not stop there. Talk to your EMR software vendor success coach to set up ongoing training and support sessions for your team. You want the switch to your new EHR/PM software to be smooth and as seamless as possible. This means you will need to move all legacy charts, paper included, to your new system. Talk to your medical software vendor to determine how much time and staff will be required for the migration. Be sure to prepare your staff by planning ahead and discussing workflows before the migration to the new EMR system begins. This assures your staff will only have to focus on one system at a time and will save them from a lot of hassle. You should work closely with your EHR system vendor success coach, and create a plan for your secure file migration that will keep your office moving and productive during the switch-over process during the implementation. Your patients may be used to your old EMR system with respect to appointment reminders, calls, scheduling, or text messages. Let them know about any new features and how physician-patient communication and care reminders will change after the go-live date. By letting your patient know what to expect, they will be more understanding and considerate while your team is getting familiarized to using the new Electronic Health Records (EHR) system. The idea of switching EMR and Practice Management (PM) systems may feel overwhelming, but a little planning can go a long way. By mapping out your key goals before selection and devising a plan prior to implementation, you can drastically decrease the stress that often comes with this big change.